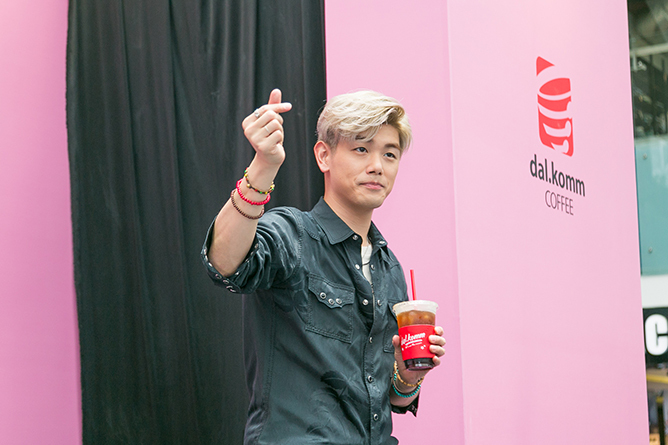 Eric Nam Gets Honest About Shedding His Boyfriend Image: "It Was Frustrating"
Mention Eric Nam and you would think of the Korean-American heartthrob as the perfect boyfriend straight out of a romantic K-drama. But is he, really? 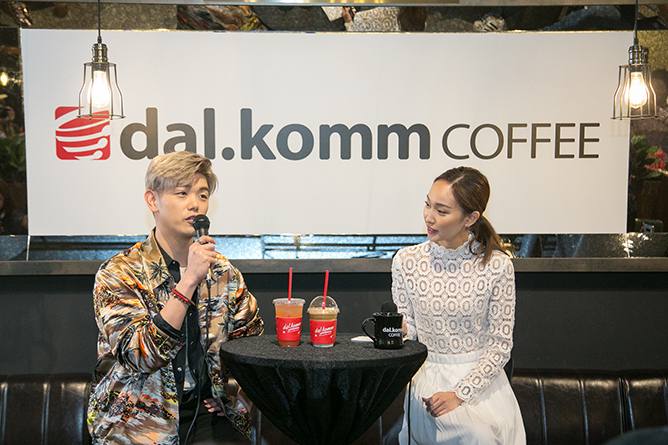 And we don’t blame you: who wouldn’t fall for someone who literally went out of his way to greet fans at the airport when he was in town for dal.komm COFFEE’s first anniversary celebrations? But beyond his sweet-natured personality, we saw him as a hard-working musician who stays true to his craft and yearns to break out of his comfort zone. 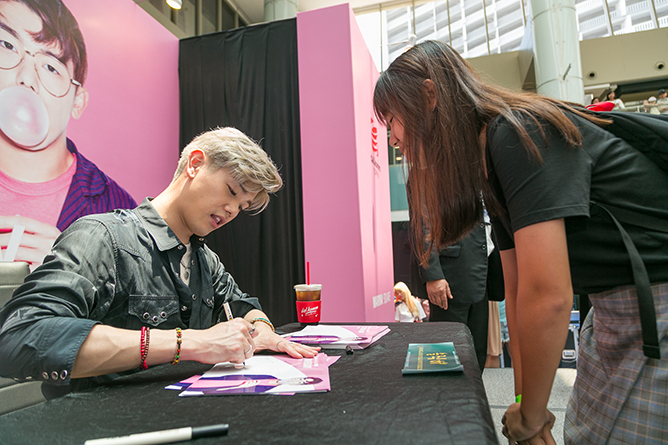 Gone is the “nation’s boyfriend” we used to know – Honestly-era Eric Nam is unafraid to express himself and take risks with his new music, which just made us love him even more. Ahead, the charming crooner opens up about his ambitious new record, his image change and more during the press conference. Listen to Eric Nam’s latest album Honestly, out now. These days, you’d be hard-pressed to find someone who isn’t the tiniest bit obsessed with BTS – and your favourite celebrities are no exception. Taking over the world with their chart-smashing album Love Yourself: Tear, the seven-member juggernaut made a triumphant return to the Billboard Music Awards and we couldn’t be more proud of how far they’ve come. Not only did they bag their second Top Social Artist award, it also marks another milestone for the K-pop megastars as they staged a knockout performance of their latest hit ‘Fake Love’ on the BBMAs stage – and a ton of Hollywood big names were totally living for it! We already know Shawn Mendes, Khalid and Post Malone are OG members of the ARMY, but we’ve got more stars coming onboard the fandom, including Taylor Swift, John Legend and more. 💗💗💗BTS 💗💗💗 So great meeting you!! You’re killing it!! The one and only Tay-Tay, who took home the Top Female Artist, personally posting a shot of her hanging out with BTS on both her Instagram and Instastory with the caption “BTS 4EVER”. We’re not crying, you’re crying. They also got some love from John Legend, who’s also known to be V’s favourite artiste of all-time. We love legends supporting legends! The America’s Next Top Model host has been on a fangirling streak on Twitter all day, and we ain’t complaining! Aca-scuse us, is that BTS and Fat Amy?! Bless Bebe Rexha for giving us two seconds of Taehyung goodness. “Another one, another one!” MOOD. Hold our wigs: the ‘Best of Me’ gang is back together! Who else is hoping for another kickass collaboration? Okay, this isn’t a BBMAs moment – but the two of them finally met up after months of teasing about a possible collaboration. We’re sensing something in the works! Who would’ve ever thought the day would come when legendary boy band of the ’90s meets legendary boy band of today? Can we make #BTSB a thing? Best for the last: wrestling star John Cena publicly pledging allegiance to BTS by declaring “I’m an ARMY”, in perfect Korean, no less. The president has spoken, ARMY fam! Once again, huge congratulations to BTS for winning Top Social Artist for the second year in the row! You deserve it. Right after claiming the winning title of the 2009 Singapore Idol, Sezairi Sezali’s rise to fame has been nothing but phenomenal. Amassing loyal fan bases in and out of Singapore, the local music sensation rocked the indie scene with his first full-length album Take Two, which became 987FM’s highest ranked Asian song to date. Having landed a record deal with Sony Music, the bonafide star has since released a self-titled EP and a brand new hit single ‘It’s You’. We caught up with this talented singer-songwriter for a short chat, where he opened up about his love for music-making, felines and married life. Hi Sezairi! You’ve been recording for some time in Sweden, what were some things you missed the most back home? Oh man, the first thing I did when I came back was to go straight home – and my wife and I made mee soto. My wife makes the best mee soto. She’ll be like, “Dude! Let’s make mee soto!” and I’m like, “Yeah! I’m looking forward to this weekend!” And so we’ll make it together. I’m not into getting her to cook and me sitting down and waiting kind of thing. That’s sweet! Did you miss your cats too? Oh yeah! I have two or three that sleep with me at night, and while we were away in Sweden, they had to stay in the living room where there’s no air conditioning. The moment we got back, they were scratching like crazy at my bedroom door (laughs). So the first thing I did was to climb into bed with all of them and let them have some AC. What’s the best thing about having cats? I feel like they teach you a lot about loving, because they don’t give you an option. Like sometimes they jump on your keyboard, and I throw them off. But then I realise that’s not unconditional love; is a living thing less important then my game? No. It taught me that when you love somebody, you have to do it all the time. You can’t choose when you want to take care of it. You can’t adopt something or be in a relationship only because it’s advantageous to you. Yeah, I think about these things when I’m petting my cat (laughs). You often feature cat avatars in your music videos and album art. Can you share with us why you chose to do so? It was a fear that I had to overcome because my mum is afraid of animals, so I kinda caught it along the way since young. Back when my wife and I were dating, I would have my feet on the sofa because I found cats scary. She used to have this cat that just hated my guts and I’m like, “Dude, why? !” But she warmed up after a couple of years and before she passed away, she was on my lap for the longest amount of time. They taught me how to be patient, understanding and love unconditionally. I thought those are very important things I wanna keep reminding myself, so I took on the avatar. Out now on all digital platforms. What do you think? Ready to join the kat army? What are some of the other fears you’ve had to overcome? I haven’t got over a lot of things including my fear of transportation, flying especially. I have this impending feeling of doom whenever I’m on a plane; I always feel like something might go wrong. And I used to be scared of being at the front seat of cars. I love cars, you know? That’s the ironic thing. But whenever I was in the front seat, I felt like the car was going to bang something and that gave me a lot of anxiety. But I’ve gotten over cars, so next is planes. I get so nervous that I know what model I’m getting on and how it performs in the sky. Like, I know a triple 7 will be safer in what region because it has a bigger engine or something (laughs). I’m a walking trivia lah! Let’s talk about your latest single ‘It’s You’. What was the inspiration behind the song? I just wanted to write a cheesy ballad, really. The main thing I wanted to do when I started writing the song was to for once, put that person on a pedestal instead of being vulnerable myself. ‘Cause I’m very used to a style of writing where I’m very self-inflictive like, “Urgh I’m hurt, look at me!” But this time around, it was a challenge to write about something nice for once – something that could lift you up instead of dragging you down, and that was very liberating for me. You’ve mentioned that the underlying theme is love. Did you write it with your wife in mind? I don’t write things with her in mind, but she’s always on my mind (laughs). So everything that I claim to understand, without even thinking about her, it’s about her – you know what I mean? Love is something I feel comfortable talking about, because I understand it very well. Like when I talk about how men should treat women, I talk about it with gusto – I’ve thought about it a lot, I’ve practiced it, I’ve experienced when things go wrong. In ‘It’s You’, I sing about having to choose her daily, letting her lift you up and how “It’s okay to be vulnerable, you don’t have to be a man – what is the definition of a man?” When I sing it, I thoroughly believe in it. Would you consider yourself a romantic? What’s the most romantic thing you’ve done? I guess I’ve always been – it just wasn’t cool to admit it at a younger age, like your friends will say, “Oh, you’re so whipped!” I was brought up to think that it was wrong to think of someone you love all the time. It was borderline obsessive like, “Is it wrong to feel the way I feel?” But at this age I’m more like, “You wanna call me whatever, then call me lah. I’m above what you think of me.” I’m not very good at doing things, but I’m good at saying things. Especially with my wife – I know the vocabulary to use to get her to feel a certain way, and more often than not I’m not about the big gestures. In fact, we don’t get each other Valentine’s Day gifts, we’d just wake up every morning and say ‘I love you’ and it’s very normal for us to be publicly affectionate. I don’t feel like you should hide these things. Name some of your current favourite love songs! ‘Get You’ by Daniel Caesar. Have you heard that? You should! It’s an incredible song. How about that Charlie Puth song with Boyz II Men called ‘If You Leave Me Now’? How has the local music scene changed, compared to when you first started out? Oh, it’s totally different! When I first started out, the local music scene consisted of just a couple of punk and alt rock bands because those were the only things the niche crowd would look at. Everyone else would be listening to western music because that’s part of our media. But now it’s so diversified that I feel like classifications are useless in this day and age. Singaporean artistes have always been very inquisitive and with the tools we have now, everyone’s growing at an exponential rate. Back in 2009, there was no digital music distribution – if you wanted to listen to a Sezairi song you had to buy a CD or listen to the radio and there were only a few shops that sold albums of local musicians. And since our content is also in English, people would be like, “Why do I need a local singer when I can listen to Beyoncé?” So that’s the extra struggle we have to deal with. There’s been people who paved the way, so you can see the road; whereas in English music, no one’s really paved the road for anywhere – it’s just a road going round and round. But all it takes is for one English artiste in Singapore to go all the way, and the road will be paved for everyone else. If you want to be an artiste, you can’t confine yourself to one territory. If you could give a piece of advice to your younger self, what would you say? “It’s not your fault.” (Laughs) The younger me was a very different me. 10 years ago, I was thrown into a lot of things real quick and I didn’t know how to deal with what was going on. And on hindsight I feel like some things I could’ve dealt with better, and some things just happened because they happen – it’s really nobody’s fault at the end of the day. Lastly, what else can fans expect from you in the coming year? Everything else that’s going to be released has a similar theme [to ‘It’s You], like sounds I’m familiar with and music I grew up listening to. So you can expect a lot more neo R&B – that kinda stuff. Listen to Sezairi’s new single ‘It’s You’ on Spotify. Hot on the heels of Netflix’s A Korean Odyssey (or Hwayugi) fame, Lee Seung Gi is arguably the It actor of the moment. Shortly after wrapping up filming for the hit K-drama, the 31-year-old has been landing deals left, right and centre – not only is he the host of Mnet survival programme Produce 48, he’s also set to star in upcoming blockbuster drama Vagabond alongside potential co-star Suzy (Gu Family Book reunion, anybody?). 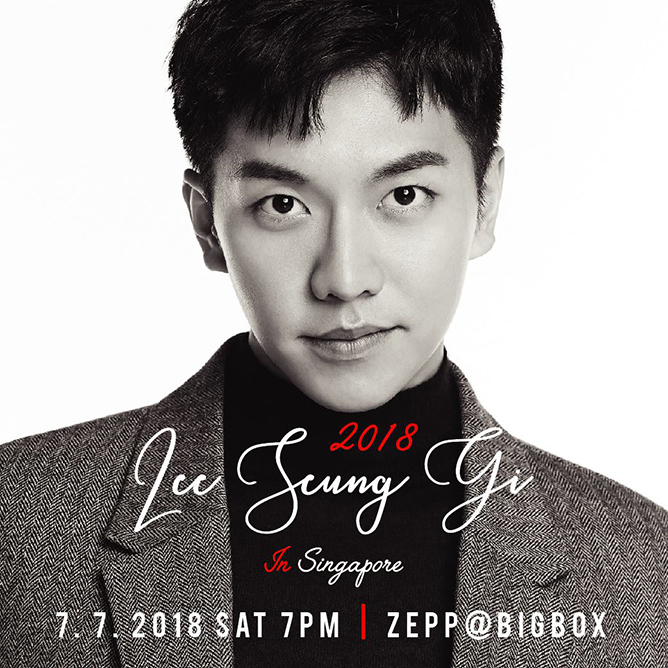 That’s not all: we’ve just gotten news from our friends at Red Spade that the actor will be holding his long-awaited fanmeeting in Singapore this July, five years since his last visit in 2013! And with his witty charms, charismatic personality and multi-talented abilities – he sings, acts and is a total heartthrob, what’s not to love? – it’s safe to say you’re in for a solid treat. VIP ticket holders are entitled to handshake and an L folder. Tickets will go on sale from 18 May, 10am via www.apactix.com. 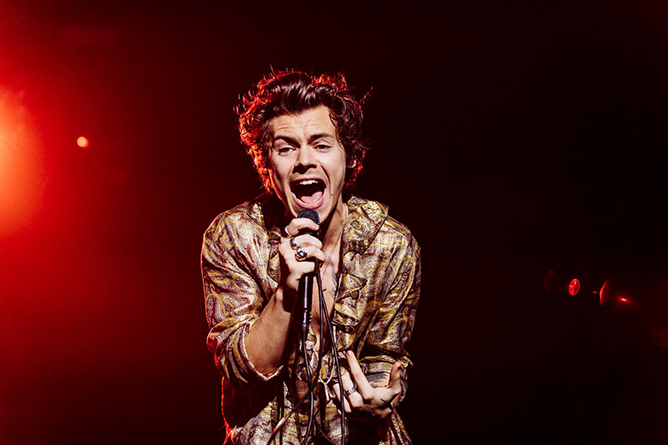 There’s nothing quite like attending a Harry Styles concert. A charming young Brit with an iconic voice and a phenomenal amount of success under his belt, the ‘Sign of the Times’ crooner is one person who needs no introduction. Ever since taking a break from being part of the world’s biggest boy band, the former One Direction member’s career has only gone in one direction – up. Barely six months after staging a smaller-scale show at The Star Theatre last November, the 24-year old proved that he’s perfectly capable of commanding a 6,000-strong audience at the Singapore Indoor Stadium on 3 May. It was 90 minutes of pure musicianship, nostalgic singalongs and all-around good vibes as the burgeoning rockstar treated us to yet another unforgettable show – and boy, what an emotional ride it was. We’ve participated in our fair share of waiting games for plenty of shows before, but this was the most painful yet intriguing one by far. As we wait for Hazza to take the stage with bated breaths, a series of abstract and thought-provoking animations of rubric cubes played over and over in a hypnotic manner on the big screen. The suspense drove the audience crazy – it was clear that this natural-born star knew very well the effect he had. From the minute he stepped out on stage, the charming heartthrob was already blowing kisses left and right – all while flawlessly belting out the notes to the opening number ‘Only Angel’. Looking ever so dashing in a blinding golden shirt, the curly-haired wonder sauntered onstage to ear-splitting applause; to say that he looked like a god in gold would not be an overstatement. With his effortless charisma and alluring vocals, complete with the all-out visual assault of pop art graphics and theatrics, we were thoroughly entertained from the start to finish. Powering through the set with aplomb, Harry had the crowd hyped up right from the get-go as he churned out hit after hit. Although the concert started out on a slow note, it didn’t take him long to shake off his initial nerves and get back to what he does best: working the stage. “I have one job, that is to entertain you. You also have one job, that is to enjoy yourself,” he exclaimed. “So if you wanna dance, dance. 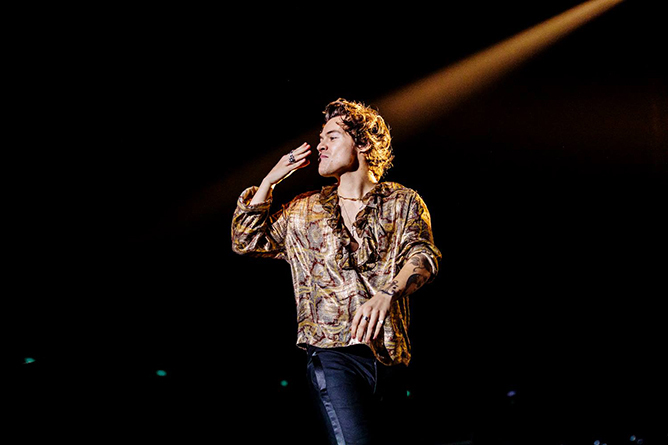 Feel free to be whoever you wanna be in this room!” Busting out quirky moves that could rival even Mike Jagger, Harry’s infectious dancing mid-performance got everybody up on their feet in an instant. Not only is Harry incredibly talented, he’s also blessed with that signature British humour we all know and love since his One Direction days. His effortless banter with the audience kept us hooked onto his every word. One particular bit that had us in stitches was when he rallied the entire crowd to sing a birthday song to a fan, but it turns out that her birthday was actually four days later, leaving a bewildered Harry in disbelief. “You are all liars! I trusted you. I trusted all of you,” he playfully chided the fans. Despite his individual success, Harry has never distanced himself from the band that started it all, which only makes us adore him even more. Not only did ‘Olivia’ play before he came onstage – pleasantly surprising Directioners in the audience – he also dedicated a substantial part of his setlist to songs he had previously written for 1D such as ‘Stockholm Syndrome’, ‘If I Could Fly’ and ‘What Makes You Beautiful’. Being able to identify with his boy band roots and simultaneously build a sound he could call his own, isn’t something many artistes in the same boat could have done. We all got rather emotional when the singer took a sombre moment to thank the fans who have been supporting him for the past three years. Here’s to many more! Can’t get enough of Harry Styles? Don’t forget to grab a copy of our latest issue featuring none other than Hazza on the cover! Out on newsstands now.